Rockchip is releasing low power SOC with NPU targeting deep learning. We are hacking cheap Chinese soldering robot aiming to make it usable with camera fiducials and solder joint inspection. I shared some info on Hackaday 2018 Belgrade conference. As we want to make the robot easy to use we are looking around for capable SOC with Deep Learning capability. It seems the only embedded available solution now is nVidia. Allwinner has put in their V5 SOC info about AI and Trensorflow support, but looking at info for the only available board on the market it looks just statement and no actual implementation. 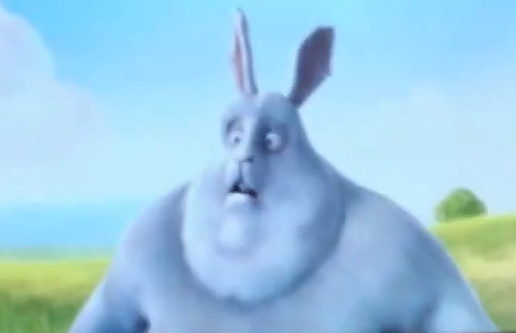 The AI they advertise looks more like OpenCV / Tensorflow lite libraries using the V5 GPUs, but not real NPU. Rockchip seems to be this time a little bit ahead of Allwinner and has released RK1808 and RK3399pro SOCs. Some info also start to appear in their rockchip-linux repositories. This chip is definitely not hobby friendly with FCCSP 420 0.3mm balls spaced at 0.5/0.35mm! Price info is not available yet. First evaluation boards will be ready end of March 2019. Rockchip will sell SDK with the NPU API also at unknown yet price. 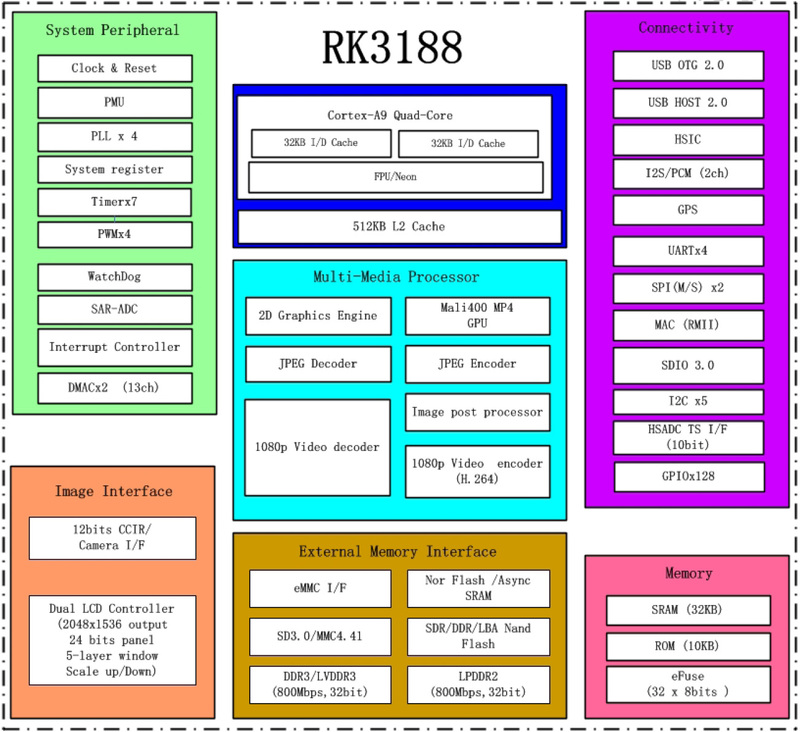 Rockchip also upgraded their RK3399 including inside RK1808 and naming it RK3399Pro. They keep the same RK3399 ball layout, so people who already made RK3399 boards can upgrade with RK3399Pro without changing lot on their PCB layout. How they will manage power dissipation when they put together two quite power hungry chips is yet to be seen. RK3399 alone requires quite big heatsink as it dissipates up to 20W when the Cortex-A72 cores are running. Posted today on Free Electrons blog. 19 years old intern in Free Electrons took the Cedrus reverse engineering of Allwinners proprietary CedarX video driver who is around since mid 2014 and made patches for mainline Linux kernel. I’m sure we use these since they were made first available and they are build in our images, so I’m really puzzled why they have made their way to mainline just now and not earlier? Isn’t it time Linux-Sunxi community to stop working on kernel fork and start to send all development and patches upstream like Rockchip developers do already for 2 years? Looking at mainline kernel Rockchip has way better support now than Allwinner although Linux-Sunxi community to seem many times bigger than Rockchip community. Rockchip devices are in many Chromebooks and Google push them to send all their work upstream to latest kernels. None of newer Allwinner chips found it’s place in Chromebooks and this is the problem, for Android kernel 3.10 is enough and they will not move from it, neither they learn (or are capable to generate quality code) to upstream all work they do. This is pitty as since A10/A20 we can’t see anything which to beat Rockchip as productivity. RK3288 is mainline and although Cortex-A17 still faster than any chip Allwinner have. Now Rockchip work to release their new super duper RK3399 (2x Cortex-A72 and 4x Cortex-A53) and again they upstream code before even selling the chip. EDIT1: after the posting there were interesting comments from Chen-Yu Tsai (a.k.a. wens213) who point me that what Free Electrons did is not simple commit to already existing project but did from scratch v4l2 mem-2-mem codec driver! So I appologise for the underestimated efforts! EDIT2: I admit that what I wrote about Linux-Sunxi repository was about Kernel 3.4 which I was using two years ago and which was developed “wild west” style. I was assuming as the repositories are still there this continues, but I was wrong! Our boards are with A10/A13/A20 and have mainline support, so I didn’t followed closely what happens with Linux-Sunxi lately. RK3188-SOM, RK3188-SOM-4GB and RK3188-SOM-EVB are in stock now! RK3188-SOM and RK3188-SOM-4GB system on modules are now in stock, these modules have same size as A20-SOM 81.28 x 55.88 mm and use same 0.05″ connectors, well they are not exchangeable though. RK3188 is quad core, Cortex-A9 running at 1.6GHz. What does this means? Comparing to A20 you can expect everything to run about 10 times faster. As power requirements, it takes more power than A20 obviously you pay for the performance and the higher clock rates. RK3188-SOM starts from EUR 35 for 1000 pcs and it’s probably least expensive quad core Cortex-A9 1.6Ghz module on the market, the RK3188-SOM-4GB starts from EUR 40 / 1000 pcs. One month ago I wrote about the Intel plans to penetrate the tablet market with their new quad core Bay Trail SoC. The ambitions were Intel to release low cost $5 chip which to compete with the ARM based Allwinner and Rockchip SOCs which dominate the low cost tablet market. We all were wondering how this could happen as Intel design and production is focused on the expensive and powerful desktop/server processors which sells for $30-1000. Now we know how this will be achieved 🙂 from this Press release. Intel has signed strategic Agreement with Rockchip to accelerate the Intel based solutions in Tablet market. What does this means? Intel will licensee x86 Silvermount architecture to Rockchip and Intel’s 3G/LTE know how, so Rockchip will be able to design their own chips based on Intel’s architecture. The first new chips will be available in 2015. This is very interesting move from Intel to penetrate the tablet market which was exclusively held by ARM devices. The site www.linux-rockchip.info was created to collect all available info for Rockchip devices in a form of Wiki. Rockchip is way more closed than Allwinner, they do not understand open source and Linux and are in the same state of mind like Allwinner 2 years ago. With lot of push from Open Source evangelists Allwinner slowly opened and now even released some of their closed source code for the bootloader and flash controller. Rockchip is still in the stone age, they require NDA and $5000 to send you SDK for building Android images which even have no sources inside but binary blobs. All Rockchip kernel and Linux support so far is done by group of hackers who reverse engineer their code for fun and they have already significant success. The reason Linux-Rockchip.info was created is to have place where to collect all info for Rockchip like Linux-Sunxi.org is doing for Allwinner SoCs. RK3188 is Quad Core Cortex-A9 processor running at up to 1.8 GHz produced on 28 nm process, with Quad core Mali 400 @ 533 Mhz. This SoC was released just few months ago but took the tablet and Android devices market by storm like this was done one year ago by A10 from Allwinner. The competition between these two companies Rockchip and Allwinner is with long traditions. The result is incredible productivity combined with rock bottom low prices as the stake is million devices Android market. If you look at ebay now there are lot of RK3188 devices at very competitive prices. With so many RK3188 devices it’s just matter of time Linux community around Rockchip to be formed same as the Linux-Sunxi community around Allwinner chips. and Linux sources http://liliputing.com/2013/06/linux-source-code-for-rockchip-rk3188-devices-now-available.html some very basic functionality also hit mainline. IRC channel at freenode #linux-rockchip is set where RK3188 Linux developers chat. Unfortunately there is almost no info for RK3188 on internet. 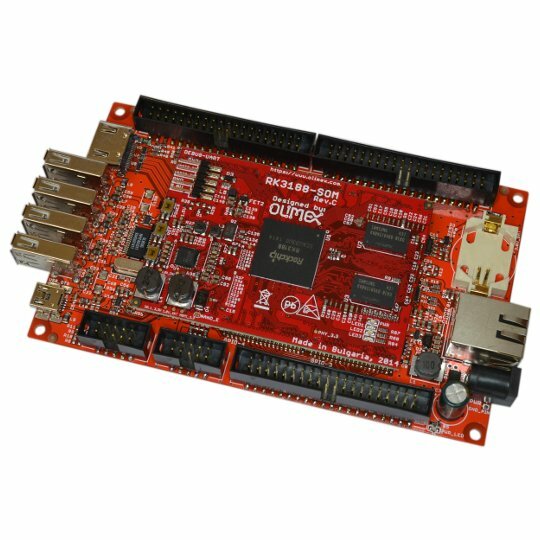 The only RK3188 brief is available which I put on Github https://github.com/OLIMEX/OLINUXINO/tree/master/HARDWARE/RK3188-PDFs . Rockchip seems much more closed than Allwinner. While Allwinner already learned that Open Source community just help them to sell more Chips by providing Linux support for free, Rockchip is still one year behind and do not see any benefits from Linux and Open Source. If you look at their web site there are no e-mails (actually there is one e-mail which they do not answer at all) and just few phones for distributors in different Chinese sites. As the chip is new, it still have not hit the stocking distributors in Shenzhen too. So how you buy chips? Tom Cubie (aka hipboi) who made Cubieboard wrote on irc channel that visited Rockchip and learned that Rockchip targets to sell 50 millions RK3188 chips this year, no wonder they are not interested in selling chips to some smallish Western customers who will just bother them with GPL sources and endless technical support questions. Also interesting info which Tom shared is that the volume price of RK3188 is USD $12.00 ( or $3 per 1.8GHz Cortex-A9 core !) now this is the reason for the so low cost of RK3188 devices. Sure this price will be not for mortal non-Chinese who buy less 100 Kpcs, but whatever margin above it have in the sales chain it will be still much more below th $40 price for the 1Ghz 4 core iMX6 for instance. SO RK3188 is really interesting Chip and if we can obtain more info we would be definitely interested to release OLinuXino with it. After some days bothering Rockchip on the phone and presening Olimex we seems to break the ice. The key was to show them the A10, A10S, A13, A20 boards we did already for Allwinner. Rockchip sent us NDA to complete and now we are waiting their HQ to approve us and eventually to give us access to more info so we can complete board with RK3188.